Sign please! Fred Kemp does the honours. Fred Kemp has stepped in to fill one of the few remaining gaps in a signed football card collection that is being sold to raise money for needy children in Africa. The former Wolves wing-half, along with his team-mate David Wagstaffe, were two of the handful of players still being chased by organisers of a project to help fund a new school in Zambia. And Wolves Heroes were happy to act as go-betweens by not only connecting the various parties but calling on the ex-Molineux duo for their signatures. 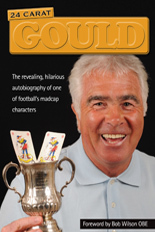 “Trying to track down so many players who feature in a collection of 1968 cards was an ambitious idea to attempt,” said David Grimshaw, a Burnley fan based in the Potteries. “But we have nearly got there now, thanks to the help of many people who love the game. “I’ve recently opened a lovely letter from the former Coventry and Huddersfield full-back Chris Cattlin in Sussex and the Welsh striker Ron Davies has kindly replied from the USA. 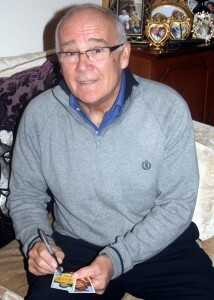 Kemp was born in Salerno in Southern Italy and played only four first-team games for Wolves – all successively in 1964-65. And the last three of those coincided with the first three of the 404 senior appearances Wagstaffe made at the club. 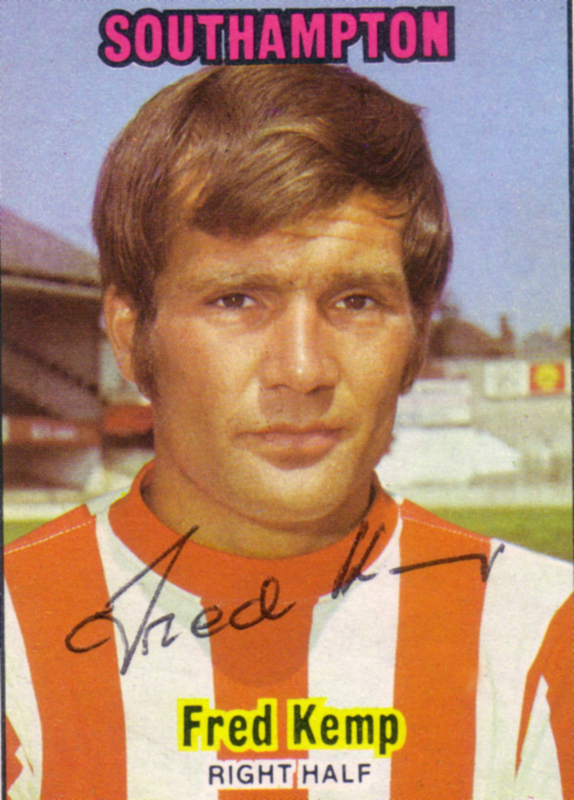 He made a much bigger impact at his second club, Southampton, which is why the pictures he was asked to sign were taken during his time in Hampshire. 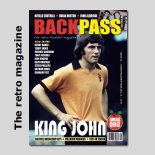 He moved there for £5,000 in 1965, when he was only 19, and became a crowd-pleaser with his all-action style after belatedly cementing a place in Ted Bates’s side. But, despite the fondness with which ‘Fiery Fred’ was remembered at The Dell, one high-profile team-mate, the skipper Terry Paine, was often underwhelmed. The World Cup 1966 squad member felt ‘the end product didn’t warrant all that energy.’ So we can only begin to imagine Kemp’s dismay a few years later when, as part of the Hereford squad, he saw Paine arrive as a player-coach! Kemp, who played 72 games for Southampton, now lives a couple of miles from Wolves’ Compton training base and considers himself retired at the age of 66. Posted on: Monday, January 16th, 2012.